Mr Tendulkar, sir your halo just slipped | The "silly points"
« set a thief to catch a thief ….. or two …..
and filed under and tagged BCCI, dhoni, IPL, tendulkar. Why do we need to analyze everything these cricketers say? None of them are great speakers especially Sachin. Half the time I cannot make out why he is saying. But overall I do feel his Halo is still with him considering he is still the nicest guy in Indian cricket. No ego/attitude problems etc (having met him few times). Cannot say the same of other Indian cricketers who feel they are the most important people in the world. Thanks for the comment, Rayden. When it is a person of Tendulkar’s fame and integrity, it becomes essential to analyse what they say. For the world will want to believe what he says. What he has said here, gives BCCI/IPL/Modi/the Rampals the platform to claim that the IPL parties had nothing to do with player’s failures whatsoever. He is NOT the team captain. I find it irresponsible of Tendulkar to contradict Dhoni. Every action has a motive. I do not wish to speculate on why Tendulkar, someone who always shirks controversies, suddenly makes this comment. Something that will put him in the good books of the BCCI. You may not accept it. But from where I see, it is my opinion that his halo has slipped. But he’s right, isn’t he? Parties will always be around, it is a player’s job to focus on his game and not overdo the parties. It’s all about staying in top shape for matches, which is something our players have not done. for dropping by and your thoughts. His comments are ambiguous. Which is why I feel it is dangerous. it implies he is endorsing the parties as absolutely harmless and in no way affected the players – physically or psychologically. which implies if he did go to the parties, then he would not be ‘fresh’ the following day, and that partying does affect performance. Which of these two is the correct statement? Both cannot be right as they are contradictory to each other. I disagreed with him because he, as a role model, MUST make a clear statement. Instead, what he has done is to openly contradict Dhoni’s statement, undermining Dhoni’s concern. I do not dispute his capabilities and genius. But he is not the present captain. neither was he in the WC dressing room. When we should be exploring why Dhoni said what he did say – Tendulkar’s statement simply gives the BCCI and the money grabbing IPL GC the excuse to say Dhoni’s statement is not worth investigating. If I was Dhoni, I would have been furious with Tendulkar for this unnecessary interference. I am left with only one conclusion ie. 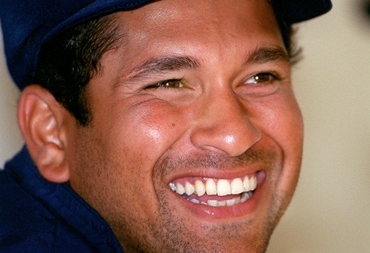 Tendulkar wants to be in BCCI good books. Why? We may find out in future. I don’t think Tendulkar cares about being in the BCCI’s good books. His approach towards anything has always been extremely diplomatic, and he doesn’t throw his weight around too much. I guess we can’t really dissect what he’s saying until we’re certain what he means. I guess you are right that his statement were quite contradictory – IPL parties dont affect but I stayed away from all of them. The problem I find with Tendulkar is that he is one of the worst speakers out there. Half the time I cant understand what he is trying to say. Also like Rishabh said above, he always tries to be diplomatic. Well I still like the guy and a big fan of his, but yeah, I have to agree with you here that this would put Dhoni in a bad position. Also most definitely BCCI will take advantage of the situation. sorry for the delayed response, was away this weekend. I am still old fashioned in believeing that the captain is the most important person in the squad. And everyone should accept his position. We have a good combination in Dhoni and Kirsten. And we should take notice of what they are saying. It is very important for the future of the team. I get your point on tendulkar contradicting himself. But I think what he really wanted to say was that the fault is not with having parties but with indisciplined players. I guess he was just trying to avoid an opinion floating around that there should be blanket ban on parties. I think what he wanted to say was that players should choose based on situation. On respecting the captian’s word front – everyone should be allowed to say what they want to say. It is always healthy to have different opinions. I don’t think he is desrespecting Dhoni by having a different opinion. Thanks for dropping by, Harvinder. I take your point. And I accept that Tendulkar didn’t mean to disrespect Dhoni. And ofcourse every one has their right to an opinion. But when a comment is as ambiguous and also against what Dhoni had said, it carries the risk of being perceived not just by Dhoni but also the public/cricket fans that Tendulkar is in direct contradiction to him. A potential for misunderstanding and friction in the dressing room. I would have expected a degree of tact from the little master. He is ‘the’ role model after all. As far as I know, there was no curfew on the players during the IPL, i.e. there was no formal discipline to break. So partying the night is more a personal indulgence, than indiscipline. The players had been given the choice, they can claim that it is to be their freedom to choose. I am not calling for a blanket ban on parties. The management, franchisee owners, cheerleaders and even the retired players can party like there is no tomorrow. But those players who still have international and/or state duties should have had a curfew. Specially the youngsters who are vulnerable to temptations. Not just for their own good, but also for the good of the nation’s cricket. But the whole idea of the parties was to be able to make ‘more money’ by selling high priced hospitality tickets. Where the fans could ‘socialise’ with their heroes. So is it not expected that the IPL management would encourage players to party, and not be self-disciplined enough to stay away. I still do not understand why he had to say what he did. I see it biased towards the greedy IPL managers. I would have been happy had Tendulkar given a balanced statement; that if there are such almost daily parties with no restriction on our team players, then this kind of a debacle is one of the outcomes we have to accept. Instead he has given a blanket endorsement of the parties. Blaming ONLY the players in giving into temptation makes me uncomfortable. Some blame has to be given to those providing the temptations.